O/H Sunday August 9th 2-4pm. OTP Monday, August 10th. Move in before the school year starts!! 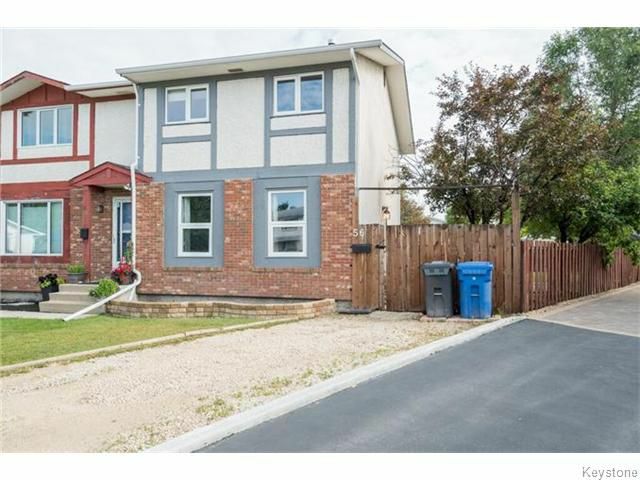 This stylish 1080 sf two storey home has been completely updated and is ready for you to walk in and call it home. Featuring many fantastic upgrades, such as it’s two fully renovated bathrooms (2015), a gorgeous new tile backsplash in the kitchen (2015), laminate flooring, modern light fixtures, all brand new Hunter Douglas window coverings (2015) and it's all just been professionally painted. But wait, it doesn’t stop there, with a HE furnace, brand new HWT, updated windows and central A/C you are sure to be impressed by this home! The fully fenced yard is huge and the perfect place to host a late summer BBQ with friends and family. Located on a quiet Charleswood cul de sac and walking distance to three levels of school, and transit. Call today to book an appointment.